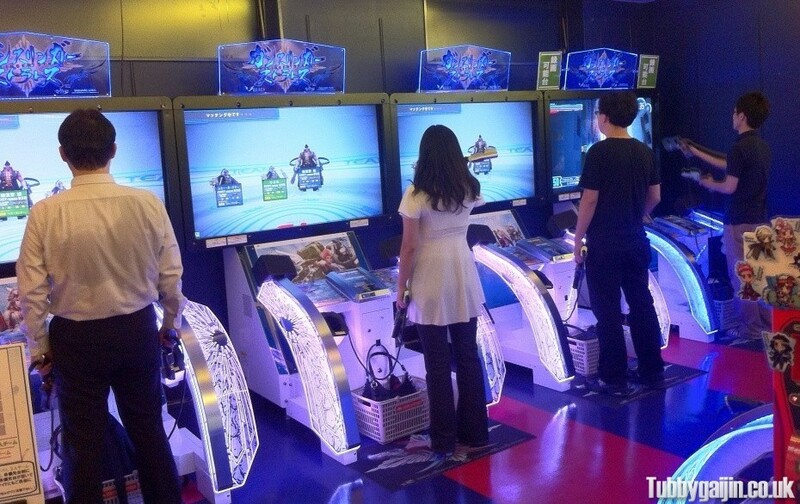 Square Enix continue their assault on mediocre gaming with this innovative, if slightly insane arcade shooter. Released on 12 July, Gunslinger Stratos is a 3rd person, 4 vs 4 online shooter with various character builds you can dash around blowing stuff up with. 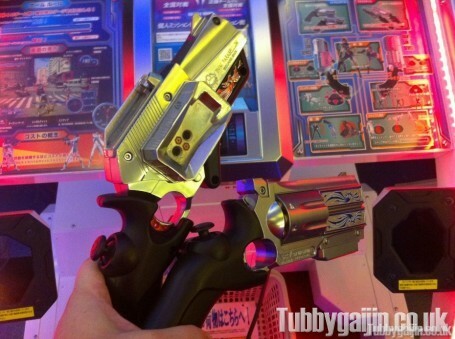 Where it gets interesting though is the control method – dual lightguns! 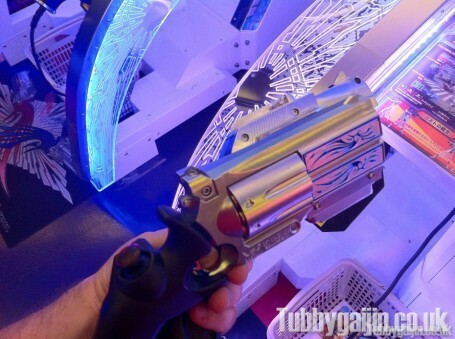 Each gun has a thumbstick, one controls character movement and the other targeting(one also has a jump button) . The left gun is styled to be a 9mm and the right a 357 Magnum, they’re shiny, weighty and feel great to use. The guns can be used independently, but also have magnetic contact points which allow them to be combined in a number of different configurations, in turn changing the weapon your character is using – side-by-side connection creates a machine gun and putting one above the other makes a bazooka, very cool. Gameplay wise, your team share a health bar, and each death degrades it, run out and it’s all over. You get 2 matches pet 200 yen play. There is a bit of a learning curve, controlling movement, free aim and weapon configs at the same time is fiendishly difficult. But once you get the hang of it, you’ll be enjoying some crazy action in familiar Japanese locales, I was perched on top of Shibuya 109 at one point and then running along Dotonbori during my next match. And come on, dual lightguns, that’s enough of a reason just there!